BoS Europe 2018 has come to an end. The event was packed with useful insights from speakers and attendees. Here is a brief summary of what we saw from Day Two. Wade Foster, founder and CEO of Zapier discusses how they built a business of 100% remote workers. He went into detail on the systems Zapier has embedded into their culture to ensure employee productivity and job satisfaction. Wade discussed typical processes including hiring, forming teams, meeting length/frequency as well as highlight pain-points they encountered and how they have handled them — their systems are always evolving. 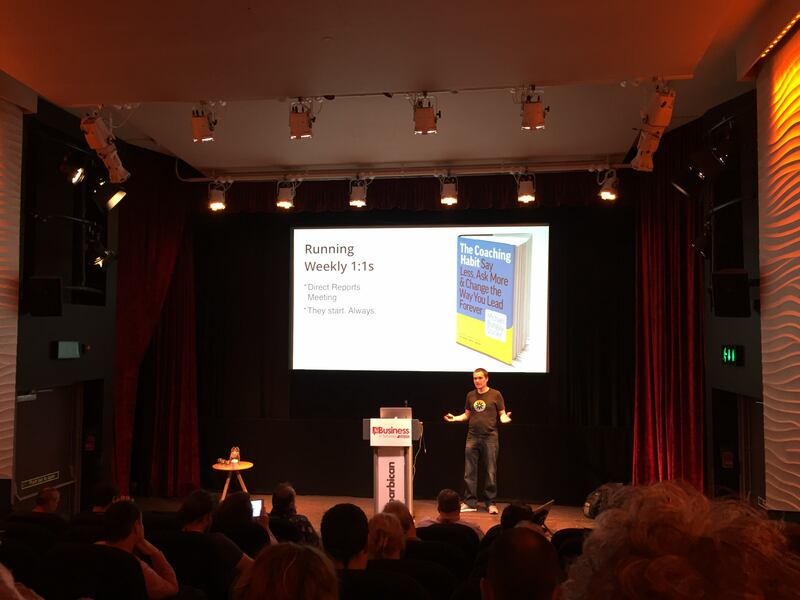 He then took more questions from the audience than any other speaker and provided valuable insights into how they could overcome difficulties in integrating remote-work into their businesses. Bruce McCarthy, founder of Product Culture, discussed company culture and the difference between product culture and execution culture. 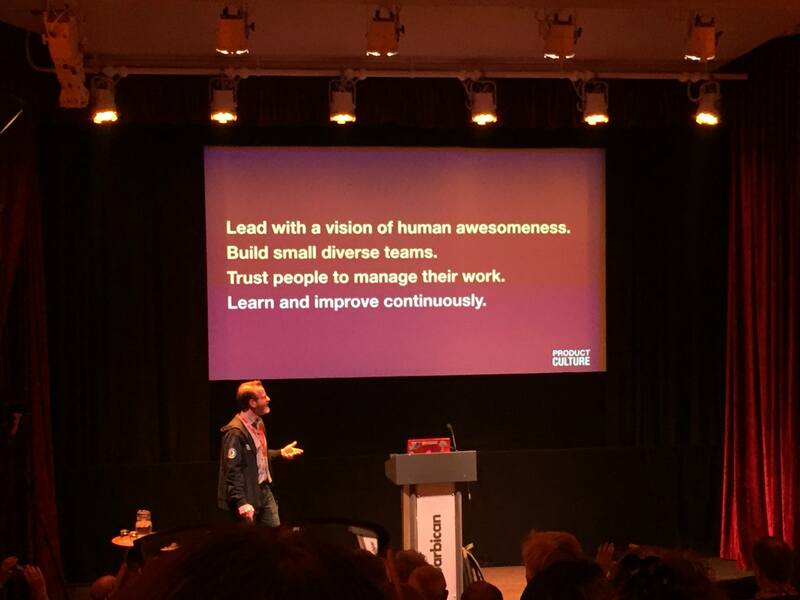 He highlighted areas in which companies struggle with building good company culture. He then went on the propose 4 principles to work with and create the company you want to achieve. As can be seen in the image above, each point describes how you should Lead, Build, Trust and Learn to help yourself and those around you. Bill Janeway discussed the history of Enterprise software and the difference between building systems then compared to now. He highlighted that the price of building systems has not changed, however the access to capital has become a great deal easier. 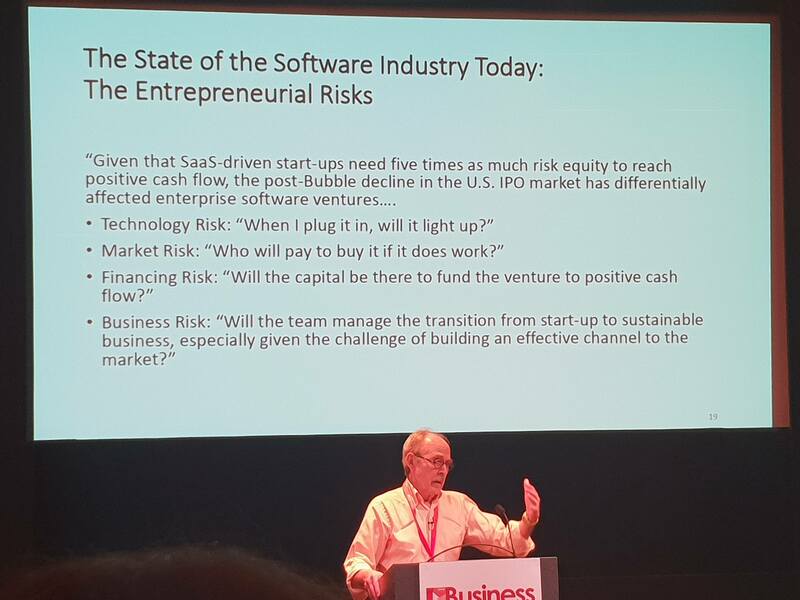 More companies are able to find venture capital and produce explosive growth compared to how software was previously developed by existing organisations with internal funding. He went on to suggest that this trend is likely a bubble that will eventually burst but will not have impact anywhere close to the dotcom bubble. He also made sure to contrast this with the modern bootstrapping environment. AWS, Azure and Google Cloud allow for on-demand execution of functions with scalable payment options. This means businesses can start small and fund themselves based on the demand of their service. Jane Austin of Moo discusses how to work with designers and how to structure your teams to allow designers to do their best work. 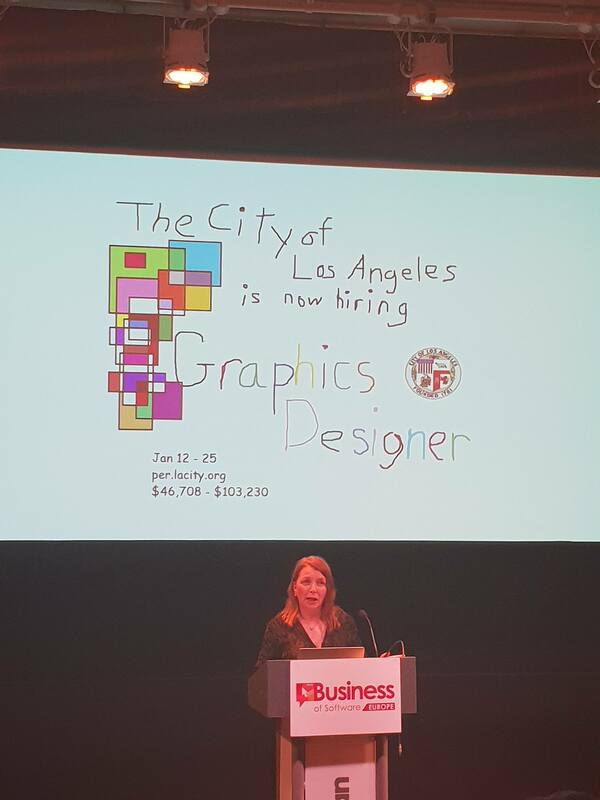 The image above displays an eye-catching and funny advert to attract graphic designers to the job role. Jane proposed what exactly designers need based on her years of experience at Moo and other companies. She portrayed the contrast between what companies “think” the design team needs and what they actually need. Jane also went into detail into how to structure teams and the importance of allowing design teams to interact with the product team. 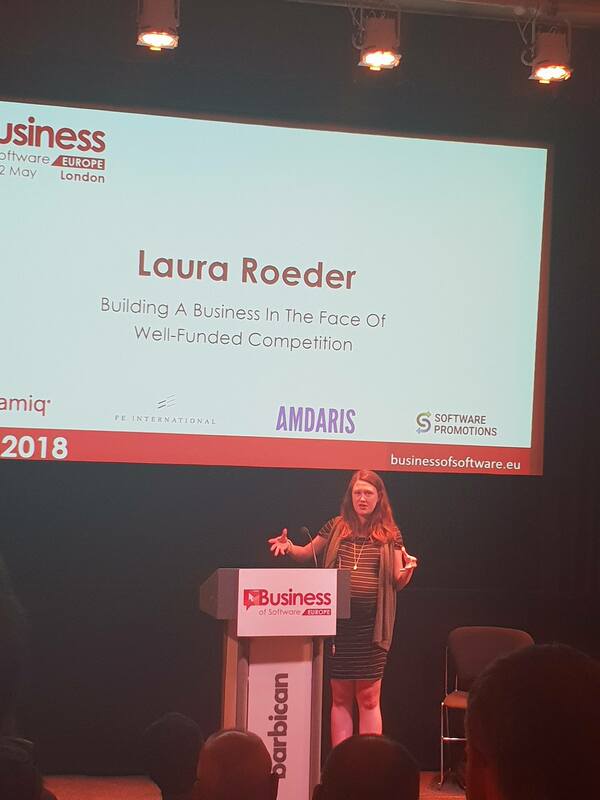 Laura Roeder talks about how MeetEdgar has grown and remained successful in the face of well-funded competition. The story of MeetEdgar is a great look into successful bootstrapping and Laura discusses the differences between that approach and VC funding. An interesting insight she portrayed was that growth is too keep looking forward and building that way. When you are growing a company you are looking to be better than what is in front of you. If there is nothing in front of you then you are aiming to build on top of your existing product. By this logic, she was not worried about competitors with less market share than MeetEdgar and was not worried about the larger competition because they would have the same opinion on her company. This mentality has allowed the company to establish themselves within a market and grow a success business in the face of well-funded competition. Stephen Allott closes off the conference with key insights into the life-blood of all business: sales, especially regarding scaling. 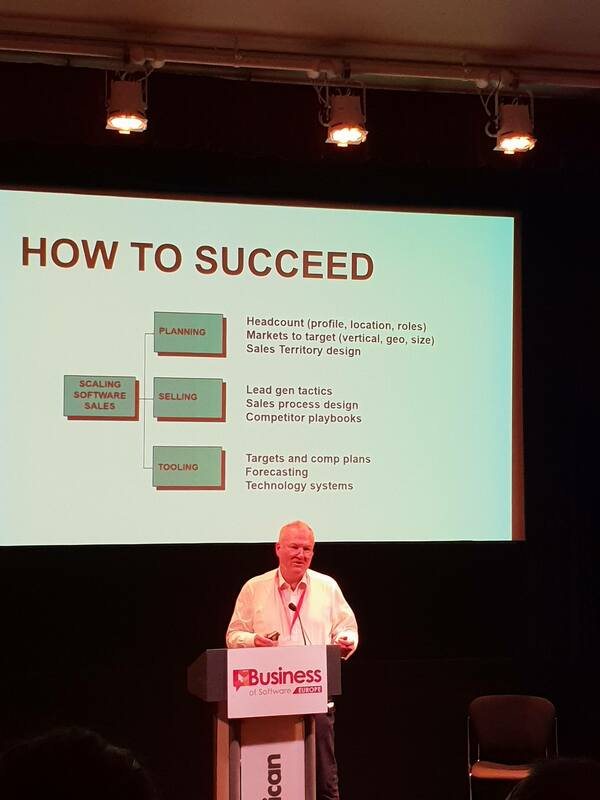 He provided common trends of successful sales teams from experience at rapid-growth companies. Hiring should be from the ground-up for the sake of speed. A plethora of lead generation platforms exist through the internet i.e. blog, podcast. Tools are ever-evolving and data is key to measuring performance.